Soured construction loans continue to pile up on banks� balance sheets in the recent quarter, as residential-development loans failed in even larger numbers. Data cruncher Foresight Analytics LLC, of Oakland (CA), estimates that construction loan delinquencies among all property types reached 9% in the quarter. The industry is now focusing on including more information on its packaging to help consumers avoid buying the wrong product. David Cooper, sales trainer extraordinaire and the founder of the iTV Network, is teaming with Bob Meyer, founder of BarterNews magazine, to present a weekly program about bartering on iTV Network�s barter channel. The objective of the program will be to expand the awareness and use of barter by educating the millions of small and mid-size business owners, those who are yet to use barter in their business endeavors. David Cooper has appeared at over 8,000 paid events since 1974 and 1,600,000 people have paid to see him speak. Bob Meyer began publishing BarterNews in 1979 and over the years has been acknowledged within the commercial barter industry for his contributions with numerous awards for his efforts. For more information on the weekly iTV show see video at www.davidcooper.com/view/421. In direct contrast to the cash economy, International Monetary Systems (OTCBB: INLM), a worldwide leader in business-to-business barter services, reported record attendance and sales volume at last week�s holiday barter expos held in Milwaukee (WI), Columbus (OH), and Rochester (NY). The expos are the first in a series of fourteen events held in IMS Barter marketplaces across the United States in November and December. The company projects that the remaining expo events will yield similar results. For more information on IMS go to www.imsbarter.com. ITEX Corporation (OTCBB:ITEX), a leading marketplace for cashless business transactions in North America, has announced that the credit facility with its primary banking institution had been expanded. ITEX and U.S. Bank entered into an agreement to increase the maximum loan amount under its revolving credit facility from $1 million to $1.5 million, to lower the interest rate of the facility, to remove certain borrowing base limitations, and to extend the maturity date to November 30, 2009. 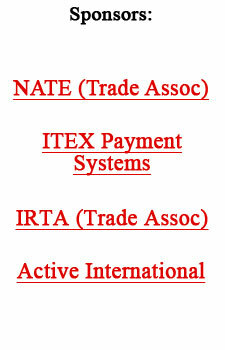 For more information visit www.itex.com. Unfettered self-interest is at the core of the nation�s regrettable economic circumstance. Politicians curried constituent favor by pressuring for non-economic lending. Executives increased personal reward by making outsized bets with corporate assets. Winnings were substantially pocketed by management, without reserve for the inevitable organizational risk. The nexus of the problem is that the boards of directors did not intervene to prevent these overreaching missteps. It takes considerable chutzpah to lean in against the well-parsed wishes of a Chief Executive. It is not surprising that, with few laudatory exceptions, boards are not up to the task. The norm is that directors are recruited, nominated, compensated and loyal to the CEO first, and to shareholders second. Congress and regulators have attempted to protect shareholders by requiring that certain types of directors be included on major public boards. We have seen that directing the fox to recruit his responsible friends to guard the hen house has not, and will not, bring us safety. Congress is likewise limited as a political animal that would find it impossible to manage by optimal economics alone. Fannie Mae, Freddie Mac, 80% labor cost at the U.S.P.S. vs. 40% at FedEx, a typical 30% toll for the troll, and the world-wide history of failed directed economies gives pause to any intelligent thought of government supervision, except by those egos eager to supervise. Owners, on the other hand, are the one group that has sufficient vested interest to push back against any improper tide. Nothing quite focuses the wit and will like having a large sum of your own money on the line. The long-term solution to irresponsible risk taking with corporate assets, excessive executive compensation, insular boards, and a plethora of similar complaints is to align theory and practice. Make directors, and hence, boards, wholly answerable to the shareholders, through the nomination process. Simply put, require directors to be nominated by real person shareholders, and allow only one directorship per person or related group in any one company. 7) No person, or group of economically related persons, may hold or be nominated for more than one (1) directorship at any one public company. The proposed Shareholder Control Act of 2009, will shift control to owners, rather than reserving it to managers under the supervision of regulators. Real owners of assets don�t take undo chances with their own money. Tapping this natural force of vested self-interest can and will prevent a repeat of the plethora of disastrous decisions that led to a wasting of untold economic value during these recent times. We encourage Congress to pass the proposed Shareholder Control Act of 2009, immediately, to bolster confidence in the Nation�s long-term commitment to private ownership. Chet Billingsley is the Chairman & CEO of Mentor Capital (Symbol: MNTR) that invests in hedge funds and smaller companies. The firm has no debt and no exposure to the financial, sub-prime or real estate sectors. Information on the firm may be found at www.MentorCapital.com.